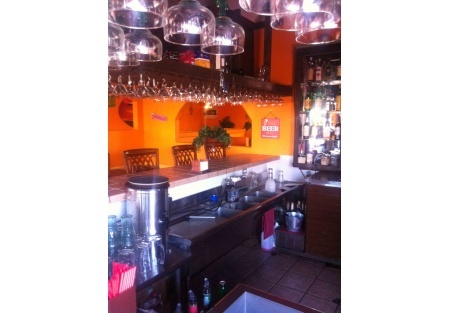 HOT MEXICAN RESTAURANT WITH FULL BAR AND HOT FOOD! Here is your chance to get a fully built out restaurant with a full liquor license already in place in the heart of the college district. With the liquor license and locale the possibilities here are endless. Expand the current concept or bring your own plan entirely, the choice is yours. Located on a super busy street with great parking and access. There is plenty of inside seating and a very nice fully enclosed L shaped outside patio area. Minutes from the college, near all the popular student hang outs, this place has great visibility and will be an outstanding opportunity for the buyer looking in this area. The full kitchen will allow production of just about any menu you want to provide. keep the current menu or bring in your own concept entirely. The restaurant is 4550 square feet and with rent at 4774/month it is on 1.05 per square foot plus CAM. Current lease term expires Jan 13, 2015. Spare yourself the expense and time of building out a new location this, this place is ready for you now! Full Liquor, great location, build out done, cheap rent, if these appeal to you to you check this place out and see if your restaurant and bar is here waiting here for you. This is a Stone Path Brokerage listing.